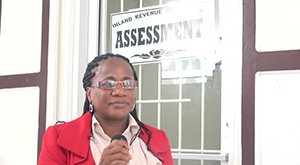 NIA CHARLESTOWN NEVIS (October 02, 2014) –The Inland Revenue Department on Nevis will embark on an educational drive: “Know your Taxes.” The event will take place at the department’s Charlestown office at the R.G. Solomon Arcade from October 06-31, 2014. The sessions are scheduled for 9 a.m. to 3 p.m. 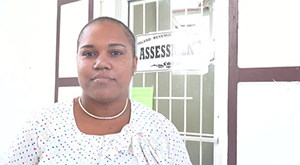 In a recent interview with the Department of Information, Senior Tax Officer Jacqueline Maynard gave the reason for the drive and its objective. “Our focus will be specific to those tax-payers who fall within the unincorporated business group such as doctors, lawyers and retailers. “Our goal for this educational drive is to inform tax-payers of their rights and obligations to the department, the new procedures for filing and payment, the calculation of the unincorporated business tax, and the importance of paying taxes,” she said. For business owners who need further information, Maynard stated that those persons could contact the department at 469-5521 ex 5010 or visit their Facebook page at Inland Revenue Department Nevis. However, she urged those who are required to attend the sessions to do so. “We certainly look forward to your presence. We are convinced that you will have a great day with us as we strive to build a better nation through responsible tax administration. Remember, be a responsible citizen,” she said. Meantime, Marsha Daniel who is another Senior Tax Officer provided the schedule planned for the educational drive. “The schedule for these sessions is as follows: Monday 6th October 2014 – beauty salons, barber shops, hair dressers, a.m. and p.m. sessions; Monday the 10th October 2014 – brokers, a.m. session; doctors and dentists, p.m. session; on the 13th of October, lawyers, a.m. session. Friday 17th October 2014 – consultants, a.m. session; architects, p.m. session. “On Wednesday 22nd October 2014 – a.m. session, retailers; p.m. session, restaurants, snackettes and bars; Monday the 27th October 2014 – a.m. session, contractors; p.m. session, landscapers, mechanics, truckers and plumbers,” she said. Daniel gave further insight into the sessions. “At this educational drive, the following information will be dispersed to the tax-payers: the definition of the following terms: Unincorporated Business Tax (UBT), Value Added Tax (VAT), Business Licence, Property Tax and Tourism Development Levy. “How you calculate your business tax will be demonstrated, how to file and complete your tax returns, the importance of filing taxes, the submission date of filing your relevant taxes and finally, the role of the Inland Revenue Department,” she said.